In the last few month we were constantly working on the taskblitz web app to make it more convenient, easier to use and faster. We reworked most of the common used features, removed features that weren’t used in a critical mass and added new requested features. The biggest change will effect our pricing. We decided to extend our free plan and offer all current and new members a free quota: you’ll get 100 free projects and 100 free users for your organization. This offer will be available as long as our current server capacities will allow us to do so. Free plans will be free – now and in the future. We hope that you enjoy our new features and the improoved user interface. Since the launch of our beta spin-off app lightning we got a lot feedback to copy design elements from there also into the main taskblitz app. 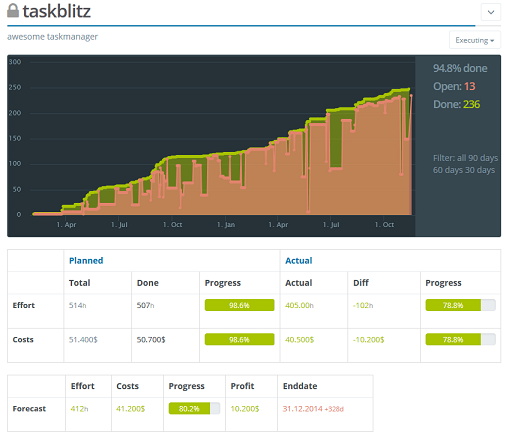 So did we and adapted the dashboard in taskblitz to a new transparent look. We also worked on the header navigation and moved all accessory function to the right side. All main navigation points can now be found on the left side of the header. In the past few month we have been working on our new baby: Lightning. 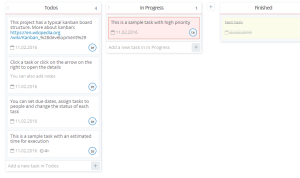 Today we are extremely happy to present our new task management app as a beta version to you. 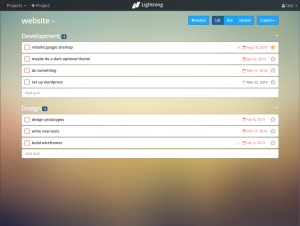 The focus of Lightning is to offer a simple, fast and though powerful and flexible task management solution for individual users and small teams. 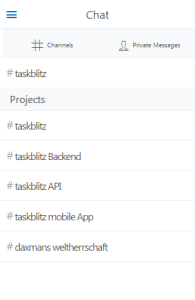 As in contrast our taskblitz solution is a full featured project management for teams and companies working together. We use for Lightening the latest web technology and a proven framework for reliable and fast client side application delivery. The entire interface of Lightning is fully drag&drop enabled and delivers an amazing user experience. 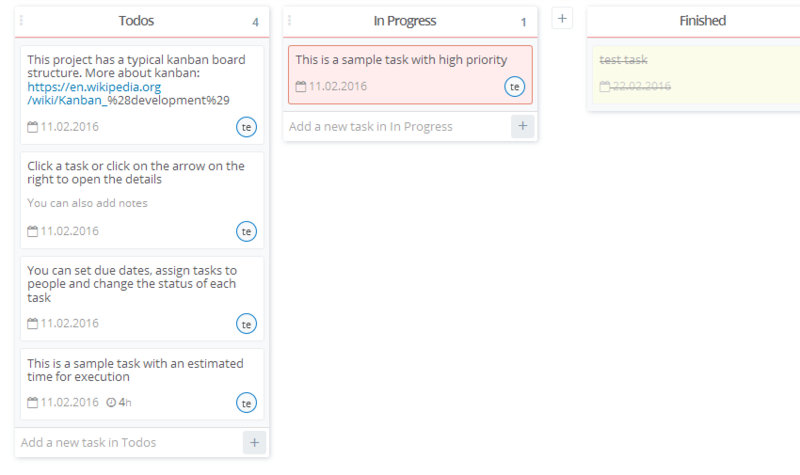 Kanban, list or boxes? There are many visual ways to structure your tasks and projects. In Lightning you can instantly switch between these three visual options. 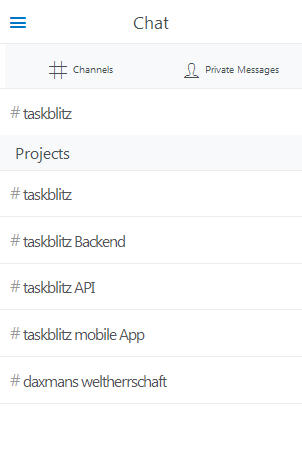 The best feature is that taskblitz and Lighning share the same data layer. This mean for you as a customer you can easily switch between the two apps, can choose which app you are going to prefer in your day to day use and you only have to manage one account. As Lightning is currently a beta version, we would be very happy if you provide valuable feedback to us. Today we want to present you some new feature in our invoicing section and also introduce you a better flow in using the invoices with you projects and timesheets. Furthermore we added filters here to only see overdue, paid or unpaid invoices. Another big change that we have made recently is, that now also user can set a n hourly rate in their options. This value is used to calculate the costs of a project correctly. If a user has no rate value set, we use the given organization’s rate value (when you sign up we set this value automatically to 100). First of all we are extending the features of the free tier. You now can work in a small team of 3 users for free in taskblitz. We also introduce a new intermediate plan for small team below 10 members. 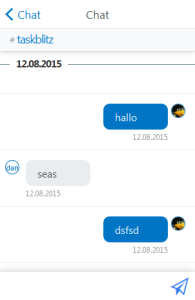 The plus plan also includes the chat for internal communication. The new full features plan is called pro (formerly business plan). 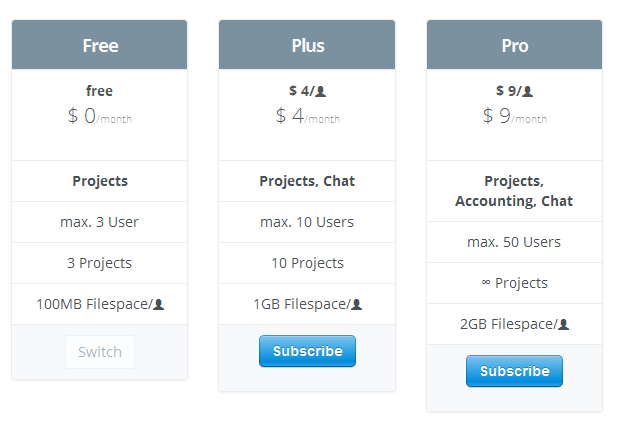 And we also dropped the monthly fee from $15 to $9 per user. We are happy to announce that with the recent updates in our mobile apps we brought the taskblitz Chat to your mobile devices. 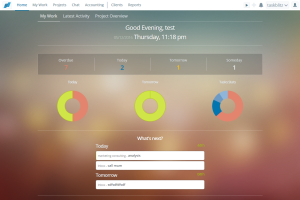 Like in the web app you can easily communicate with project teams, your whole organization or single persons. Getting a quick and though full overview of your project is probably on of the key tasks a project management solution has to fulfill. We optimized our approach and merged it with the project KPIs view. You see in one single page the planned and current effort and costs and also a forecast till project completion. These are some of the most important KPIs to match and that enable you to steer your project to success. The daily standup report give you an automatically created report to use in daily standup meetings with your team. 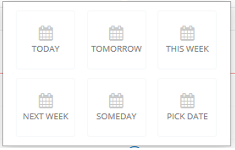 It shows for every member the tasks worked on yesterday and the ones for today. The revenue overview gives you clear insights about the financial health in your organization. All revenue, costs and the profit will be shown her in a monthly or fiscal year base. 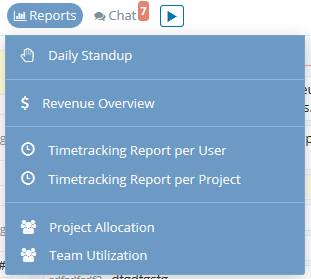 In the time tracking reports you can view and filter all tracked time entry per user and project. The utilization report shows you your organizations utilization based on given tasks over the year. We renewed our theme color scheme adopting to the one from slack. We have implemented over 20 themes for you to hopefully fulfill your need towards customization. 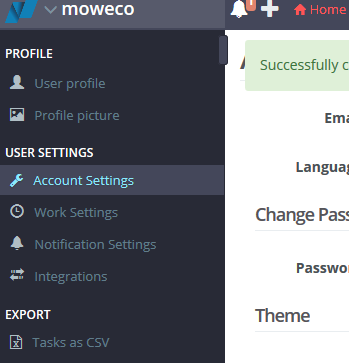 You can change the theme in your Account Settings. Today we just release an update of the taskblitz web application that brings a refined navigation and a new header element. In favor for a better readability of individual navigation points we dismissed the horizontal navigation bar at the left and moved to a horizontal header navigation. We also worked on the navigation structure itself and resolved an often criticized point: the confusion between a users personal tasks, calendar and the tasks in projects. Furthermore we added a dropdown menu in the header to quick access an individual project. We also divided the organization from the user which are now on the right and left in the header accessible via another dropdown menu. There are some navigation points we dismissed entirely like the calendar, timetracking. These points have been moved to the My Work Section and the time tracking reports to the new Reports section. The reports section is something we will enhance in the near future with more report types. PS: we have also updated the themes to work with the new layout if you’re not into the current white style. The 34th president of United States, Dwight Eisenhower, was considered to invent a very simple but yet very effective productivity method called the Eisenhower matrix. It is a super simple 4 field matrix that splits your tasks by urgency and importance. Using the decision matrix, you will separate your actions based on four possibilities.